Dave Price's forecast for Thursday, Dec. 14. Less than a week after the season's first snowflakes, another blanket of the white stuff has coated the tri-state, and though the system had dissipated by Thursday afternoon, Storm Team 4 says biting cold will stick around the rest of the week. Residents in some parts of the region awoke to as much as 1 to 3 inches of powder on the ground Thursday morning, according to Storm Team 4. Most of the region saw at the very least a dusting, but a swath stretching from northwestern New Jersey through the five boroughs of New York City and onto most of Long Island saw a bit more. Flakes continued to fall through the peak morning commute, making for a slick ride for many, but the snow was gone and the sun was out by afternoon. Less than a week after the season's first snowflakes, another blanket of the white stuff is headed for the tri-state. Gus Rosendale reports. Although the fast-moving wintry weather system has moved out, it's leaving behind more of the same blustery, biting cold the region saw on Tuesday. Highs on Thursday and Friday will struggle to climb above the freezing mark, with temperatures only beginning to rebound Saturday, Storm Team 4 says. The wind chills are not expected to be as severe as Wednesday, forecasters said. 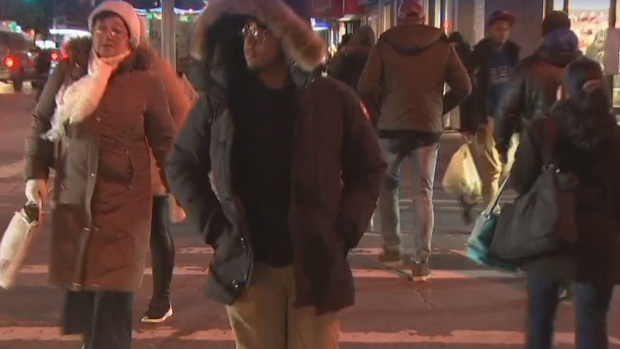 But there's a silver lining: Storm Team 4 said the mercury will begin to climb toward more seasonable levels beginning on Sunday, with most of next week's high temperatures hitting the low- to mid-40s. Click here for a list of schools in the region that have announced delayed start times for Thursday.